Electric netting that is designed to stay in one place for months at a time. 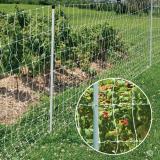 Protects gardens, fruit orchards, sweet corn and tree plantings. It has strong posts with long, thick, steel ground spikes to support the net through wind and snow. 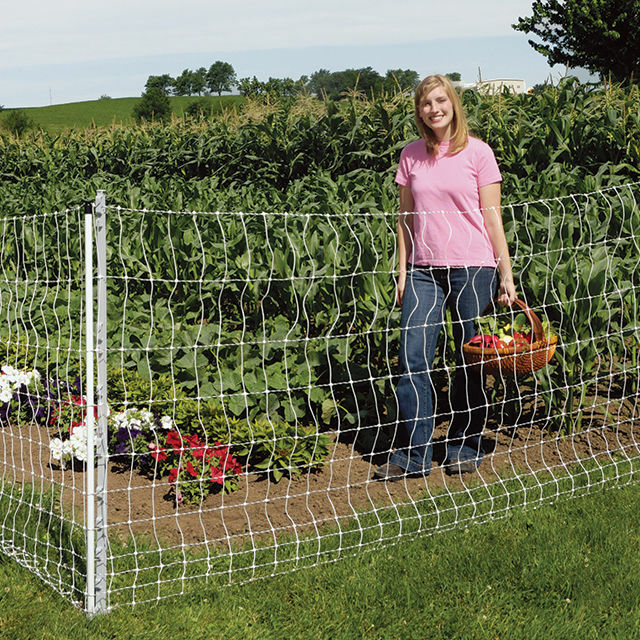 Though all PermaNet designs are a barrier to raccoons, coyotes, most deer, bears, dogs and larger livestock, PermaNet designs with verticals every 3" are also effective to stop rabbits, woodchucks, opossums, skunks, chickens, domesticated ducks and geese. A very good conductor. 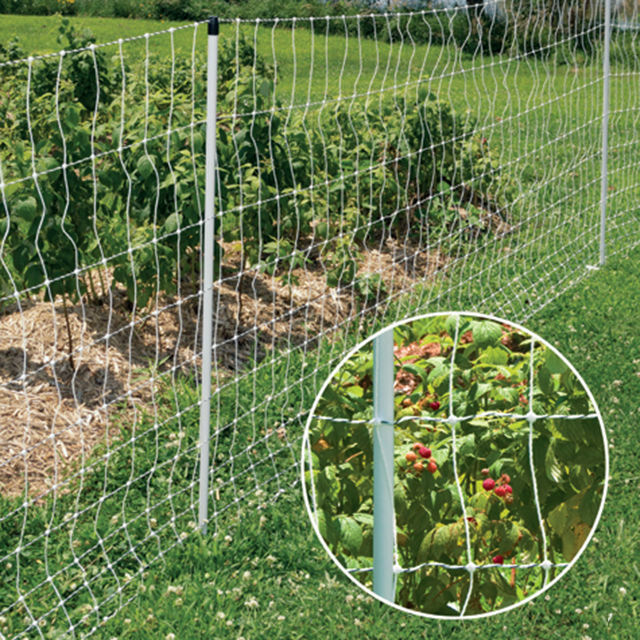 High conductivity enables the pulse energy to remain high on fences that have high grass contact. 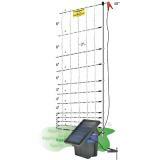 Distance Between Line Posts 6'8" 6'8"
Choose the length and the amount of netting needed. 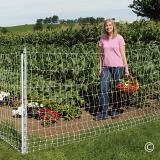 (Example: A 170 ft fence line requires one 100 ft roll, one 50 ft roll and one 25 ft roll. However, it costs less to order two 100 ft nets instead.) Each roll includes one Warning Sign and one Repair Kit. Netting (without extra support posts).